We know that it is difficult at times to maintain that comfortable cool in your home during the hottest part of summer, let alone maintain efficiency and cost efficiency at the same time. With AC services from us at AC Guys Cooling & Heating Services, we are here to ensure that your air conditioning unit is operating as efficiently as possible and that your home stays cool. One ways to maintain your system year-round is to keep your AC unit free from debris. Grasses, weeds, limbs and other yard debris can accumulate near your unit, clogging the air filtration and leaving you with a system that must work harder to maintain its efficiency; the harder your system works to maintain its temperature, the greater your energy costs. Another way to maintain your system is to ensure that your filters are changed regularly to keep your system from having to overwork through the dust that accumulates on your filters. If your system still isn’t running as efficiently as possible or maintaining that cool comfort in your home, we are here to provide full AC services. We ensure that your system is running at optimal performance. We check for mechanical concerns, as well as your duct work to ensure that your system has no problems that are of concern. When your system is checked and cleaned by our certified professionals, you can rest assured that your air conditioning system will run as efficiently as it did the day it was new and that you won’t be left with any concerns that would prevent your system from operating at its best. 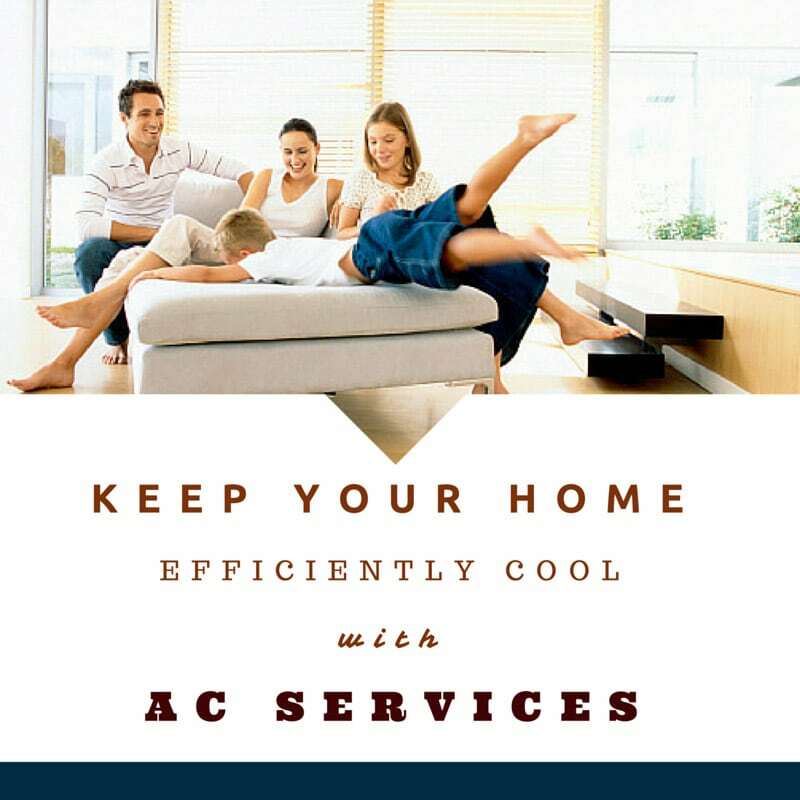 Give us a call today and ask for AC services to keep your home efficiently cool.